Today, 27 September 2017, is the 50th day of Reza Shahabi’s hunger strike. Reza Shahabi, a member of the Executive Committee of the Trade Union of the Tehran and Suburbs Vahed Bus Company, was ordered to return to prison. Mr Shahabi began his hunger strike protest on August 8th as he entered Rejai Shahr prison in Karaj. He is protesting about the legality of his case and prison conditions. For the past few days Reza Shahabi has also been refusing to have liquids like sugar water solution. He has been having digestion and other problems for a number of days. It is reported that he was unable to recognise his wife or son when they visited him. The Trade Union of the Tehran and Suburbs Vahed Bus Company, the Co-ordination Committee for the Creation of Labour Organisations and a number of other labour organisations have called on Reza Shahabi to end his hunger strike. 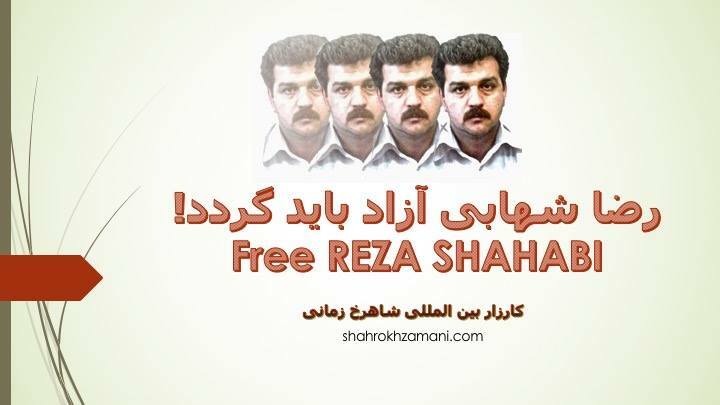 The Shahrokh Zamani Action Campaign also urges Reza Shahabi to end this particular form of protest so that he can continue his struggle in other ways. It is the Iranian regime’s that bears the full responsibility for Reza Shahabi’s illegal and vindictive detention. Therefore his deteriorating health is also the responsibility of this vicious dictatorship. Free all jailed workers and labour activists now! This entry was posted in Campaign, Political prisoners, Workers' struggles. Bookmark the permalink.